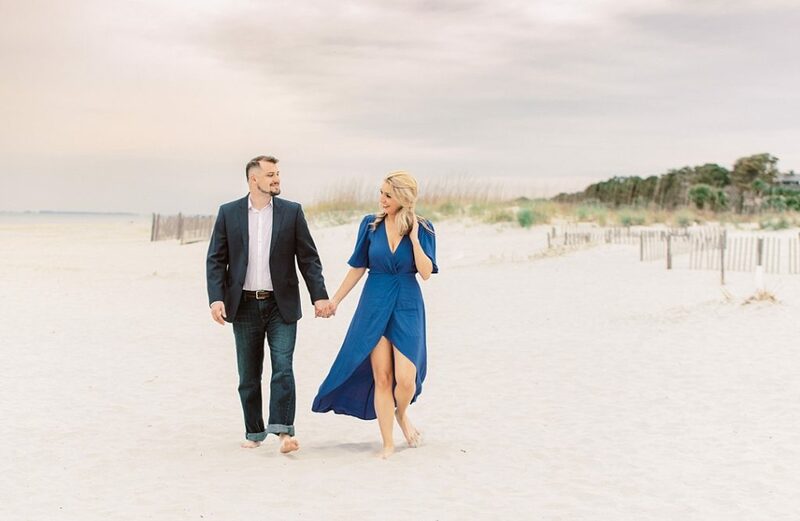 Natalie and JT drove all the way from West Virginia to meet with vendors and plan their destination beach wedding, so we took advantage of this trip to photograph their engagement session on Hilton Head Island! It was a bit overcast, and then began drizzling literally the second we met at Sea Pines, but that didn’t stop our fun! 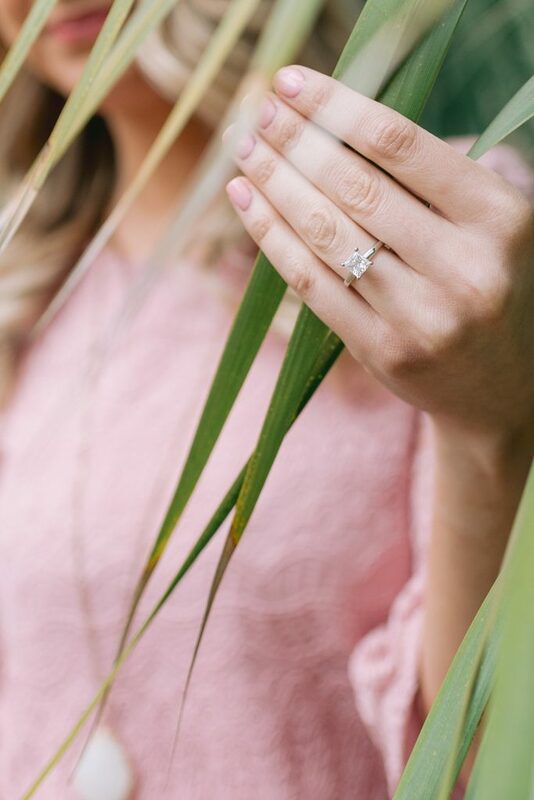 After spending some time among the spanish moss at Sea Pines resort, we headed over to Coligny Beach in Hilton Head to capture the dressier half of their session. 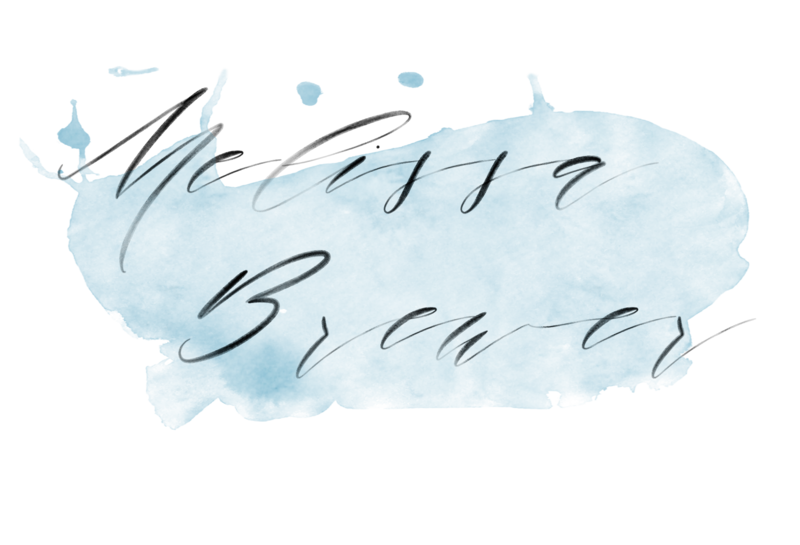 Like I mentioned in my last blog post, I love giving couples the option to change outfits halfway through their engagement session. We all have a casual side and a glamorous side, right? So why not show off both! 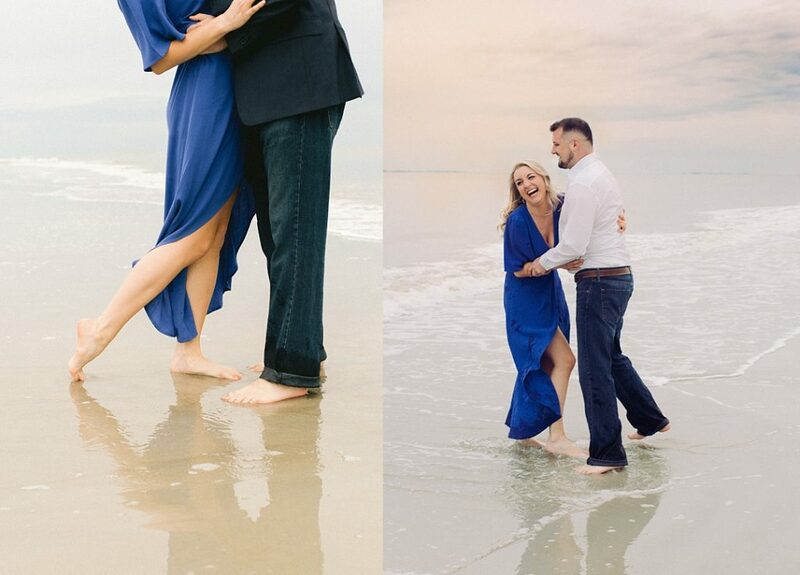 Natalie and JT were practically beaming as soon as our toes hit the sand, and it was absolutely infectious! 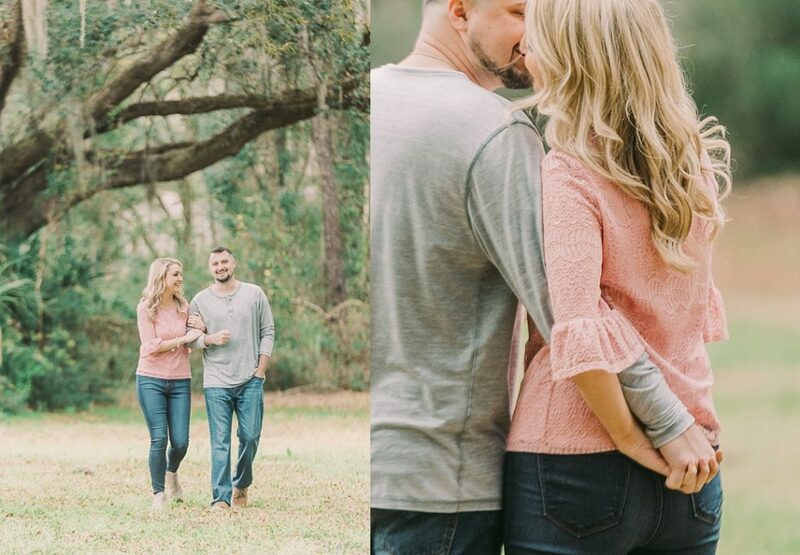 I feel like we laughed half the time we were shooting their engagement session on Hilton Head Island, which made capturing their joy and love an effortless job. Even living here in SC, with the beach just a few hours away, I can’t ever get enough of the sand and the waves, and fortunately it seems Natalie and JT felt the same way! I can’t believe I won’t get to see these two again for a whole year, until their Hilton Head wedding in 2020, but I’m sure it’ll fly by like every year seems to do. 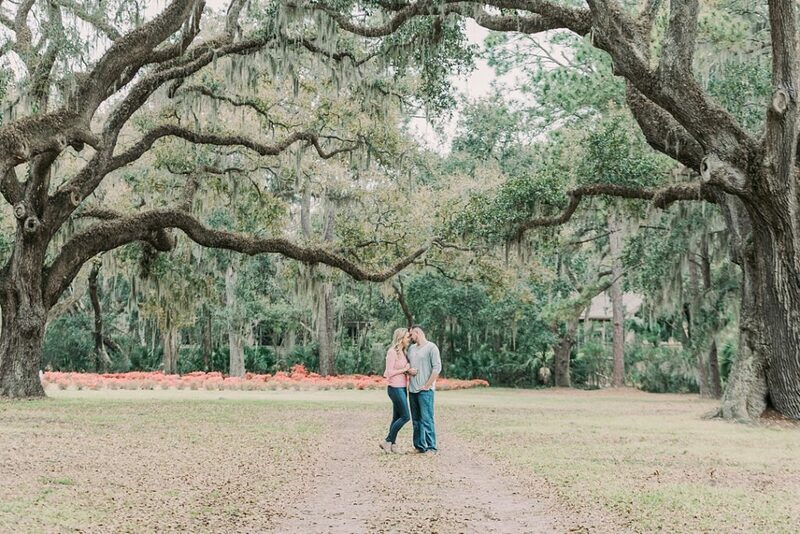 Thanks again, Natalie and JT, for such a fun day photographing your engagement session on Hilton Head Island!